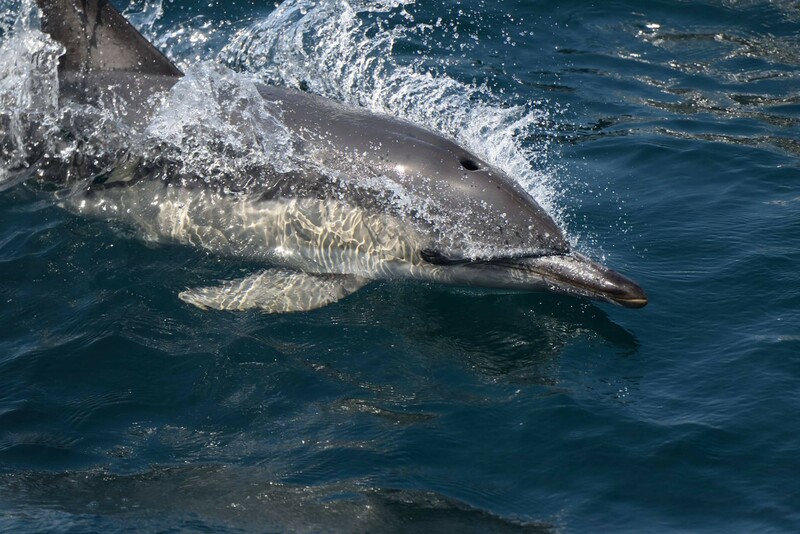 In the 1970s, Louis Herman’s group showed that Hawaiian bottlenose dolphins can respond correctly when shown an arbitrary symbol (not a literal picture) for “ball,” followed by a symbol for “question.” If there was no ball, they would press a “No” lever. This demonstrated that a dolphin can form a concept of a ball, and use a symbol to represent “ball.” It showed that dolphins are, as long suspected, very intelligent. Whatever “intelligent” means. Intelligent creatures, sure. But what is intelligence? Something to do with insight, reasoning, flexibility? Curiosity, imagination? Planning, problem solving? Perhaps we have different kinds of intelligences. Perhaps one person is more intelligent at math, another at violin, tinkering, or storytelling. 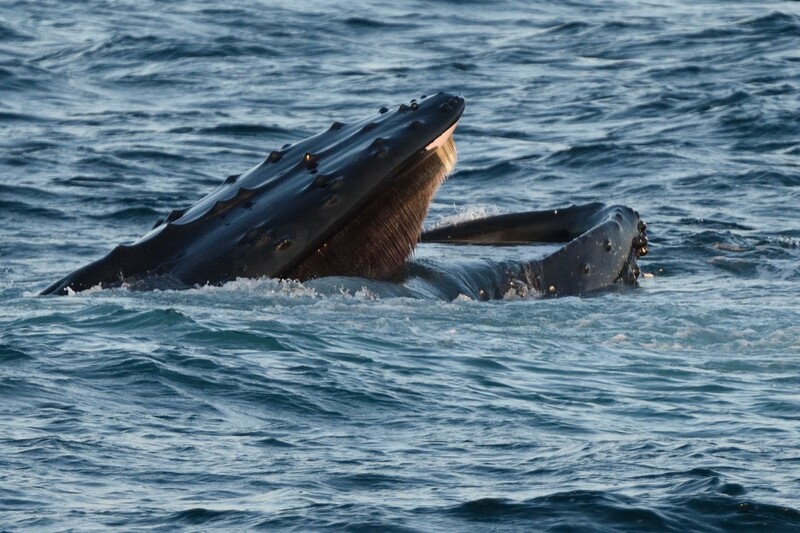 “I personally do not believe that it is meaningful to attempt to fit different species along a linear scale of intelligence,” writes the whale expert Peter Tyack. “There are hundreds of tests for human intelligence alone, but we still have trouble even defining human intelligence.” Who was more “intelligent,” Pablo Picasso or Henry Ford? Each brilliant — differently. Perhaps our word “intelligence” spans various problem-solving potentials and skill- learning talents. Where does intelligence come from? 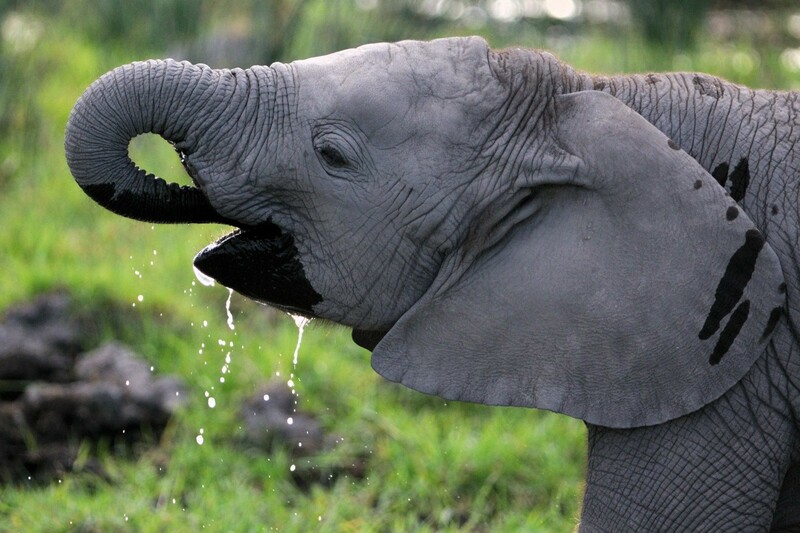 The three peaks in brain size on planet Earth belong to whales, elephants, and primates. Human brains are not the largest. Yet like all good things, size isn’t the whole shimmy. “The honeybee,” Peter Tyack reminds us, “which has a brain weighing milligrams, has a dance language that, to my mind, represents just as high an achievement of animal communication as anything demonstrated in wild marine mammals, no matter how large their brains.” The bees’ dance tells companions where food is, how far, how much, and whether there’s been any trouble there. So, intelligence isn’t one thing; it doesn’t have one formula. Size isn’t intellect. Big bodies need bigger brains to run them. Measuring brain size is like measuring the fuse box in a house. A big fuse box suggests a big house because a big house has more wiring powering more stuff. It doesn’t tell you what the stuff is or what it can do. Weights and sizes are mere stand-ins for what matters. Nerve cells matter. Neurons. How they are organized, networked, and wired with other components; how fast they transmit impulses. That is a brain’s information-processing capacity. No one weight or measure captures the whole of intellectual capacity. There is one generalization we can make: most important for flexible problem solving and mental dexterity is the sheer number and the density of neurons. German brain scientists Gerhard Roth and Ursula Dicke compared the world’s largest brains and concluded, “Humans have more cortical neurons than other mammals, although only marginally more than whales and elephants.” Whales, with 6 to 10.5 billion, and elephants, with 11 billion, are breathing close on our cortical heels; humans have about 11.5 to 16 billion neurons in the brain’s cortex; the estimates vary. Ours are packed densely, so signal transmission is rapid. But what about those astonishing crows, ravens, and parrots? Ravens, wielding insight that has been dubbed “primate-like intelligence,” can solve certain puzzles that chimpanzees, with much heftier brains, cannot. No one has counted, but birds generally have much smaller cells than do mammals. So bird brains densely pack a lot of processing power and speed for their size. And you can easily see how extremely alert birds are. A person’s individual brain neurons are basically indistinguishable from those of a killer whale, elephant, or mouse — or fly. The synapses, various nerve cell types, connections, even the genes creating those neurons are essentially identical across species. 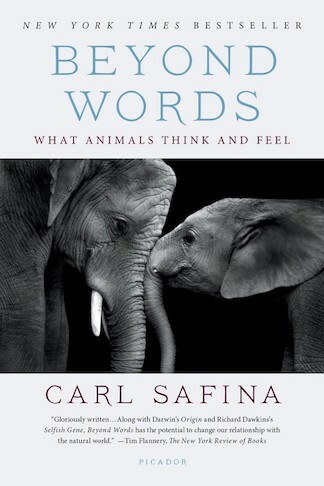 This piece is adapted from Carl Safina’s most recent book, the New York Times best-seller Beyond Words; What Animals Think and Feel, out now in paperback.